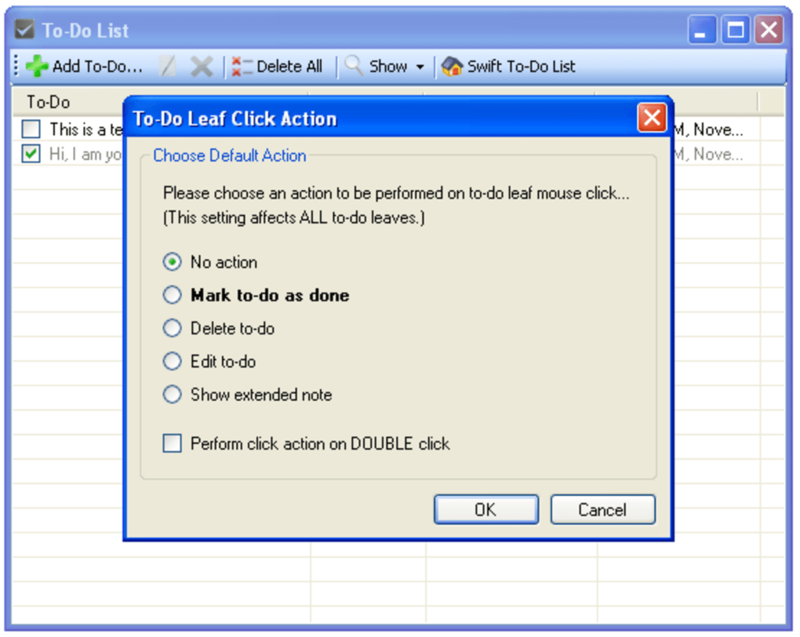 If you're the kind of person that needs to be constantly reminded of important dates, events and tasks, you need a program like To-Do Desklist. With this task management tool you can have all your important tasks, appointments, dates and events jotted down in one single place, where you can easily keep track of them. While sticky notes and paper scraps tend to get lost and end up cluttering your desk, To-Do Desklist is an easy, handy way to organize your tasks without missing any of them. 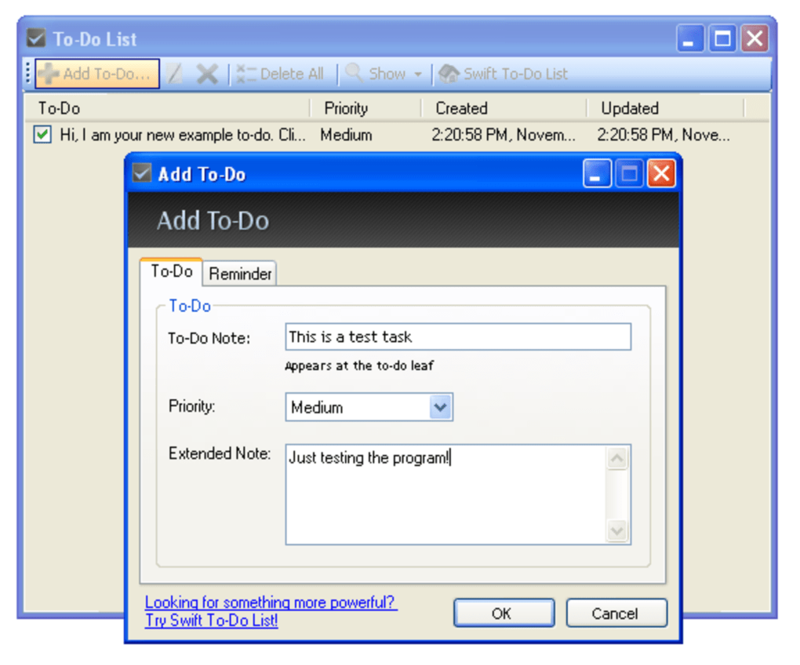 The program displays all pending tasks as notification messages on your desktop, from where you can easily review them and mark them as done when necessary. 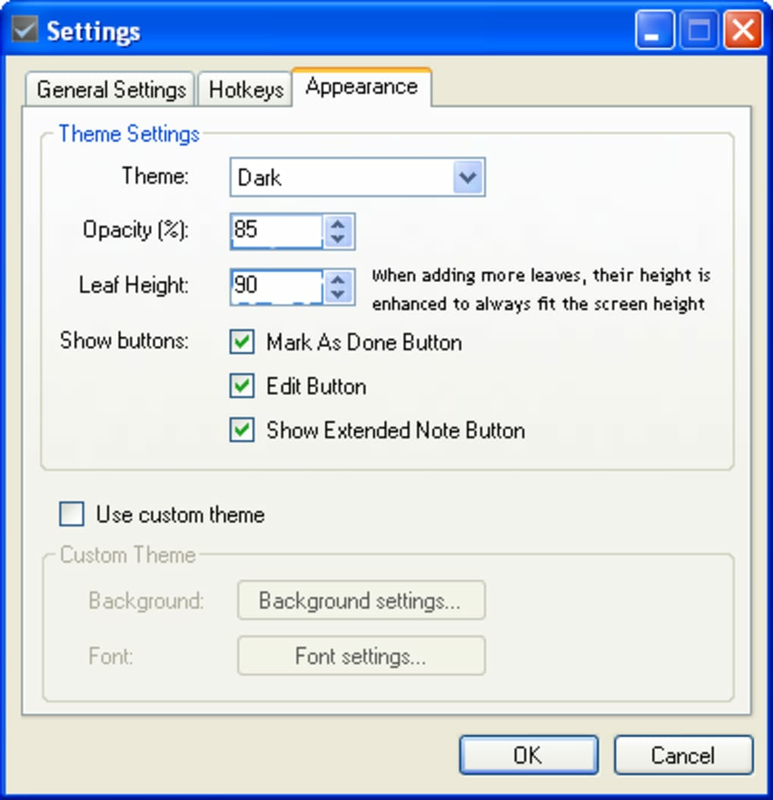 Plus you can customize these messages' look and feel to make them suit your desktop wallpaper, and also assign different priority levels to them. To-Do Desklist also includes a reminder option, but honestly, I didn't manage to make it work. 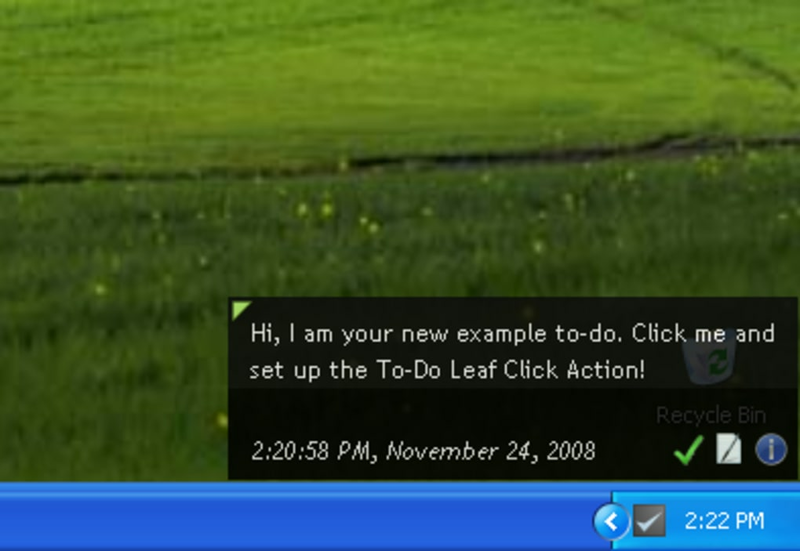 Besides, if your pending tasks are always visible, why would you need a reminder anyway? 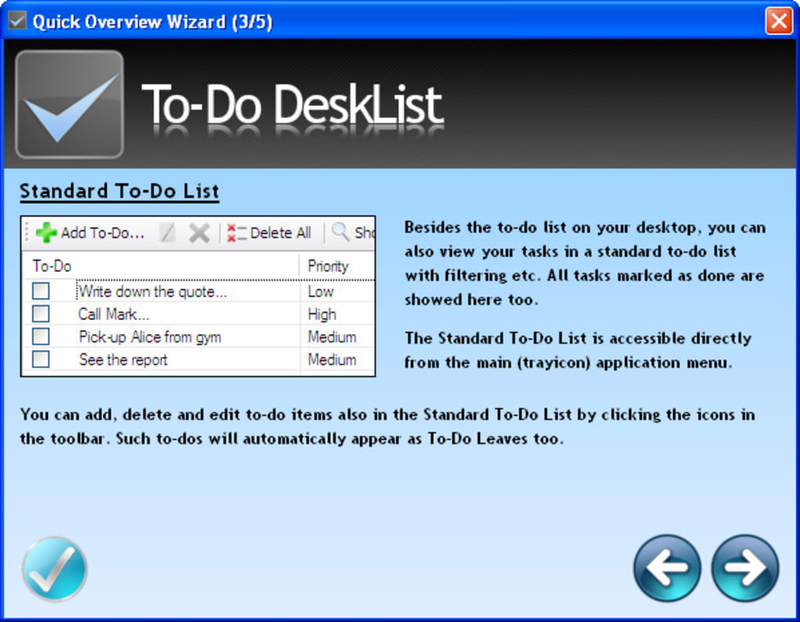 To-Do Desklist is an attractive customizable task manager that may help you organize your work in a more productive way.